American Idol 10: Top 8 Elimination Results - Paul is out! 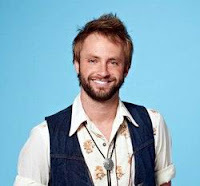 It was Paul McDonald who got booted off Idol on Thursday - I wasn't able to get my bottom 3 predictions correctly, but Paul's ouster I got right. I kind of feel bad for him though, his departure was of no fanfare, almost expected by everyone there. The battle of the vocalists was becoming apparent - and Paul just wasn't that kind of a singer. He is great at what he does though, so he should stick to that! In any case, at this point, with only 7 remaining, every Idol performance needs to be inspired to the point of perfection. I thought during the results show that Haley and Casey's duet really lifted their profiles - it was simply fantastic, and I don't even listen to that kind of music! They should definitely put that in the tour or in the American Idol CD. From the way I ranked them, I am predicting it will be a tough ride all the way to the Finals as there is no clear frontrunner. I see Scotty definitely NOT making it to Top 2, but will succeed in Country Music anyway. I see Casey can probably make it if he can keep up his winning streak. Lauren is almost a shoo-in for the Top 2, except with this week's weak vocals, I'm kind of doubting it. Who are YOUR favorites to make it to the Finals? Lets us know below!